Local cannabis sellers in the Bay Area have rallied behind the little girl at the center of the viral #PermitPatty video. Local cannabis businesses in the Bay Area sponsored a fundraiser Saturday for the 8-year-old girl at the center of the viral #PermitPatty video. Companies and people in the community gathered at the Pergola at Lake Merritt in Oakland, California, Saturday to raise money for Jordan Rodgers' education fund. Last month, Jordan was selling water outside her apartment near AT&T Park when neighbor Alison Ettel called police on the young black girl for "illegally selling water without a permit." The incident was captured on cell phone video and sparked outrage nationwide. As a result of the backlash, Ettel was forced to resign from her position as CEO of Treatwell Health, a company which sells cannabis products for humans and pets. 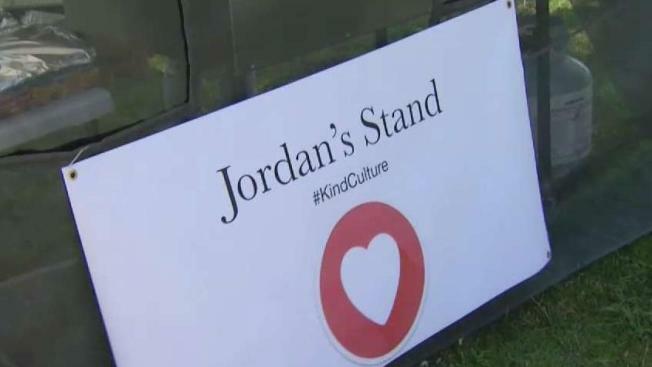 In response, cannabis businesses The Apothecarium, Magnolia and Kind Culture organized a fundraiser for Jordan, donating bottled waters and food for her to sell at the event. Event organizers say Jordan will keep 100 percent of the proceeds, which will go toward her college fund. Eliot Dobris of Apothecarium told NBC Bay Area: "We're making a donation to her education fund and we're sending a message that the cannabis industry needs to be diverse, inclusive and kind." Jordan's mother, Erin Austin, said she's thankful for all the support her daughter has received. "We gotta stop the hate in the Bay Area, well in the world, but let's start at home," Austin told NBC Bay Area.